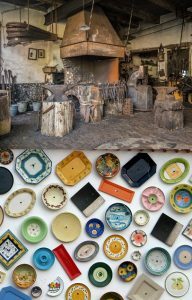 The series is part documentary and part living-history, telling the story of traditional British industries and crafts and the places that are renowned for them… think Staffordshire pottery, or Sheffield steel. The programme makers are putting together a group of six skilled artisans, from those at the start of their careers, to those who are highly accomplished.If you are enthusiastic about learning the history of your cra ft, you will get the opportunity to learn from historic experts, and create a number of products, which represent the rich heritage of crafts in Britain. Filming takes place over the summer and this is a paid opportunity. For more details contact Kate O’Brien on 020 8222 4995 / kate.obrien@dsp.tv.